- Up to 25% off select clothing. - $10 off $20 purchases. - $50 off $100 Outerwear. - 20% off yellow dot or black dot purchases. 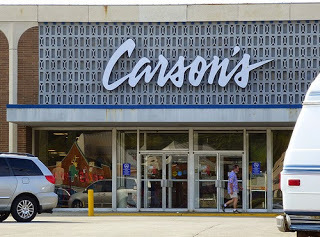 - Coupons for Carson's are also valid at Bon Ton, Bergners, Younkers, Herbergers, and Elder-Beerman stores. In Store & Online: You can print out the coupon, show on mobile phone to the cashier or use it online by entering Carson's coupon code: ZGWLDAYSS17 at checkout. Use this coupon to get $5 off your entire in store purchase over $5, includes regular and sale priced items.